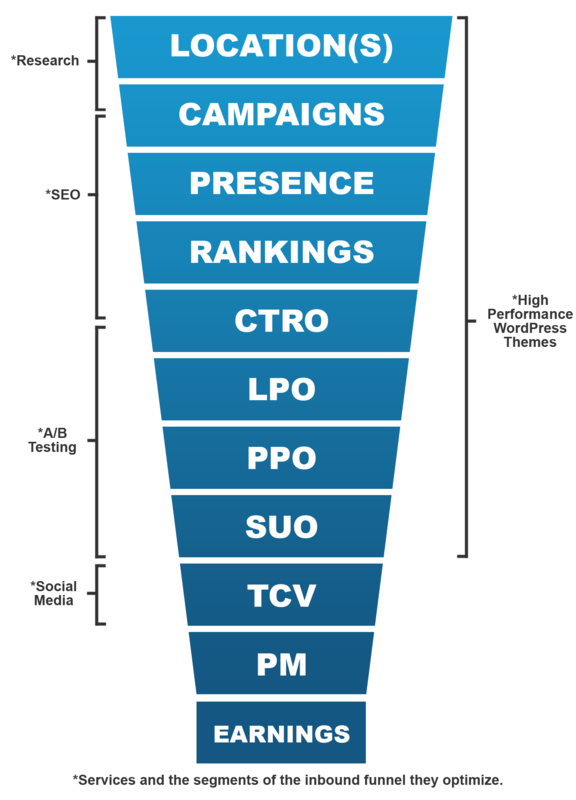 The Ultimate Inbound Marketing Strategy is built around the nine-part Inbound Marketing Funnel or Pipeline. Companies that optimize all 9 segments will have growing pains! Companies that completely fail on any single segment of the pipeline will find inbound sales come to a stop. This strategy allows brands that work in local markets to add anywhere from hundreds of thousands to multi-millions in internet sales. Let’s start by taking a look at the funnel. The funnel is simply a visual graphic that tells a familiar but very important story. The story has nine simple chapters. We’ll dig a little deeper but first, let’s review the story. Chapter 1) Once upon a time there was a place. Chapter 2) In the place there were people looking for just the perfect thing. Chapter 3) The people decided to go to a mysterious world wide web to search for the perfect thing. Chapter 4) The search yielded A LOT of potential results. So the people just looked at the top results. Chapter 5) The people opened the most intriguing result with a click. Chapter 6) They REALLY liked what they saw. They knew it would come at a cost. To their surprise it had a price tag. Chapter 7) The people looked at the price tag. The price tag made the people happy. They could buy the perfect thing in small, medium or large. Each size had a simple price. They only needed to pay for what they would use. Chapter 8) Many of the people decided they wanted to buy the perfect thing. They asked how they could order the perfect thing. They were happy to find that there wasn’t any long forms or long contracts. In less than a minute the people had their very own perfect thing. Chapter 9) The people loved the perfect thing. They loved it so much they bought more and more. In fact, they loved it so much they told everyone about the perfect thing. Now everyone enjoyed the perfect thing. And they lived happily ever after. It’s a happy story. Unfortunately, a lot of brands don’t have a story like this. BUT, they can! 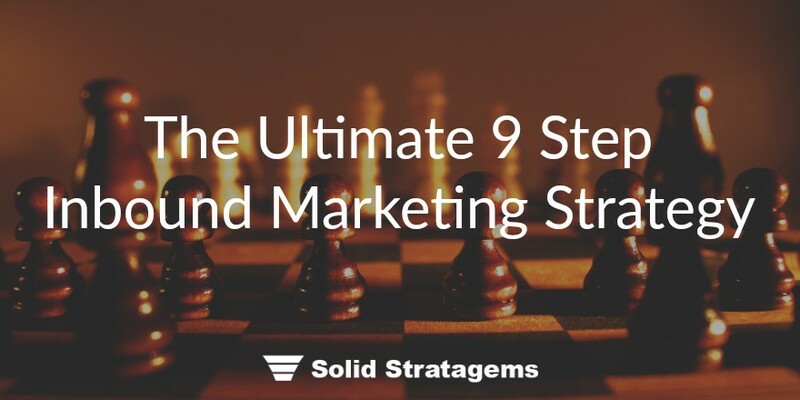 They just need to be committed to continually working on each of the nine parts. Now let’s take a closer look at those parts. Websites, webpages and blog posts. Percentage of Search Engine Results Page (SERP) owned. DO NOT MAKE ME THINK!! Remind them that signing up is quick, easy, and risk-free. Be and remain committed to being the very best in the business. Take advantage of the fact that mistakes are one of the best opportunities to win loyal customers. Take advantage of the fact that successes are one of the best opportunities to get good reviews. 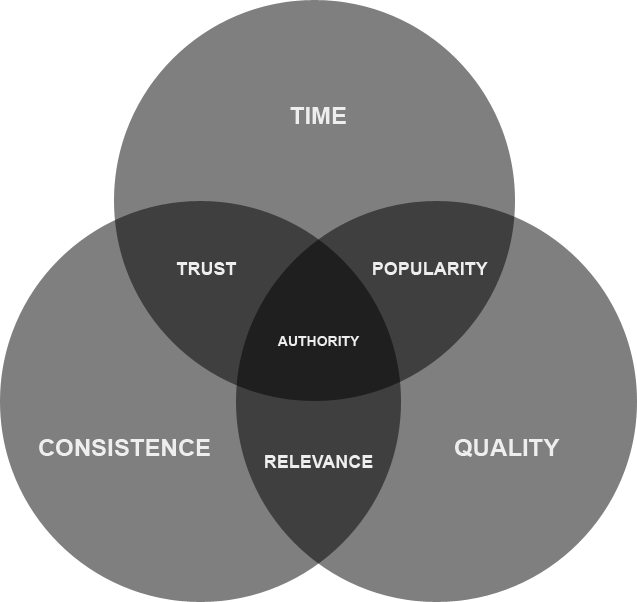 Make it easy for your loyal customers to become loyal fans (social media strategy). Email marketing to win back old customers and up-sell existing customers.